I have lived in Finland for around two years and Finland leaves me a peaceful image on my mind. 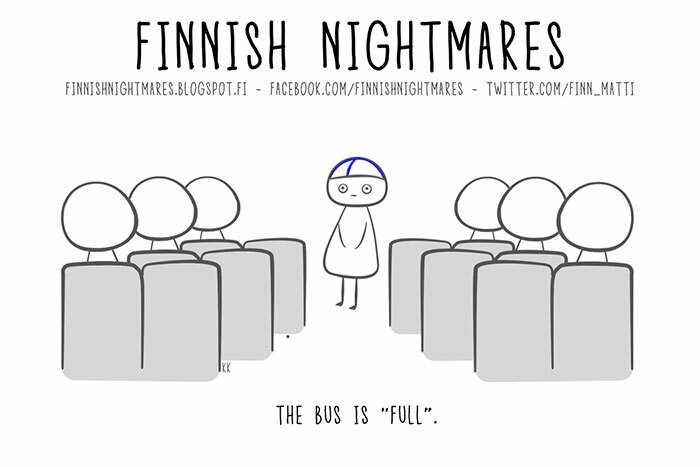 Probably because everything is white in the winter and Finnish people are all kind to me. When I arrived in Finland at the first time, I found that it was so hard to get close to Finnish people because most of them are so introverted and barely talk to each other. But after a period of time, I started to have some local friends and feel that making friends with Finnish people was not that hard as I imagined. I was born and raised in a warm city so that Finnish winter would be a really special existence for me because I have never been through such cold winter in my life. I tried a lot of Finnish activities such as ice-skating and skiing. I have experienced northern light for the first time as well. I haven’t been to Lapland yet, and the northern light there would be even stronger. 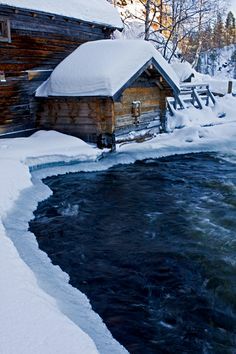 I am putting Lapland on my to-go list and definitely will visit there some day. Another typical Finnish thing that I have to mention is Finnish Sauna. Before I came to Finland, I have had already heard that Finland is famous for sauna. After arriving here, I finally got a chance to experience it. It was in winter, me and my friends were staying in sauna for around 15 minutes and we rushed out and jumped into the ice water. That was crazy and I felt like I challenged myself. Anyway, this experience is like once in a lifetime and I really had a lot of fun. I love Finnish winter and especially Christmas. In our family Christmas is the biggest and most awaited time of the year because then our whole family meets together to eat and drink. We also exchange gifts on Christmas Eve and even begin buying presents for the year after in January. Yeah, that’s really crazy but our family loves to buy and especially make the presents by themselves. My granny knits socks,my mum is always baking, my little sister paints or draws something and I usually make some decoration like candles, wreaths or decoration lights. I also love the Finnish winter but I live in the South so there isn’t the kind of winter that I like – snow, snow and much more snow. That’s why I go to Lapland almost every year with my family or friends. Our family love skiing, skating, snowboarding and downhill skiing. Finland is well known for a beautiful nature. There are many places where you should go and see. Lapland is of course one of the best-known places in Northern Finland. There are also amazing places in Southern Finland which are not that well known. Sometimes it’s amusing to go to outside of a big city and realize that you are completely alone in there. There may be just tens of kilometers of road surrounded by forests until the next city. Sometimes during the coldest days of winter, you go outside from the door to the freezing air and get the instant feeling that you just want to turn around and go back inside. Sunlight in winter is not so easy to get if you’re not outside for a whole day. 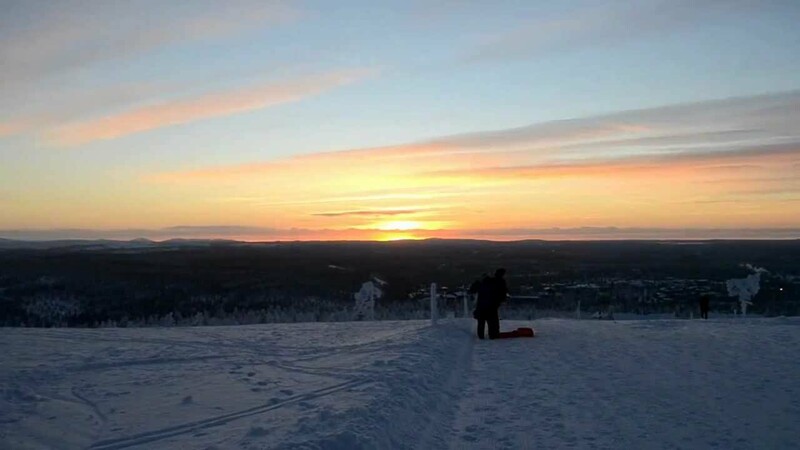 At the northern parts of Finland, the sun doesn’t even rise at all for few weeks in winter. When you go straight from 80 degree sauna to swim in a frozen lake and get that feeling when your heart pumps faster than ever before. You may like to eat a black sausage made from pork and pig blood, which looks more like an ordinary sausage that has just been in a grill for a little too long. Or at Easter, you may get some ‘Mämmi’ as a dessert, which doesn’t look so tempting dish. One of the most important parts of Finnish culture (at least to me) is our language and the way us Finns communicate. Finns are very straightforward, and our language lacks many of the polite frills that many other languages, and especially English have. A coffee is ordered by saying “coffee” not “one coffee, please”. If we bump into another person we often say “whoops” instead of “sorry”. If there is nothing to say, we really say nothing. Silence can be quite uncomfortable for people who are used to small-talk, but Finns are able to enjoy company without saying a word. These are also the reasons why Finns may come off as rude or cold to people who are not from here, but that’s hardly the truth. If we ask “how are you”, it’s not because it’s polite, but because we want to hear the answer. Us Finns are so used to our climate that we take it for granted. I’ll admit, it can be cold. Oh, so cold. But we tend to forget how much worse it is to live somewhere very warm. Grass is always greener on the other side and so on, but if you are cold, you can put on more layers of clothes. Turn up the heat. There is only so much you can do if it is very humid and hot. You cannot escape it. The climate in Finland is actually a very pleasant one to have, and one we should cherish of instead of complain about. Even if you live in a bigger city, nature is never far away in Finland. Finns love their outdoor activities, and thanks to our full four seasons, there’s something out there for everyone. Whether it’s skiing, berry picking, running, geocaching, biking, hiking… you can enjoy it all in the Finnish nature and forests. A run in the woods is one of my favorite past times after a stressful day, and it’s something I really miss if I can’t do it. Not sure which topic this specifically relates to, but in my general experience, Finns are used to, and are comfortable with walking to places. This has to do with Finland being quite sparsely populated. Many people are originally from areas where distances between places (such as your home and the nearest shop, or maybe your school) are much longer than the average distances in cities, and most often you had to go by foot because public transport might not even exist. 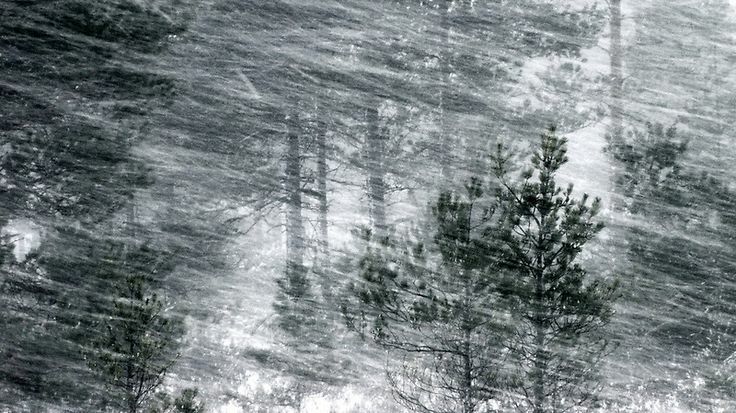 There are no “snow days” in Finland. You’ll be damn sure we still walked to school in knee deep snow, or in any other kind of weather condition. At least this habit of ours is a healthy one to have. What does Finnishness mean to me? First my mind was totally empty but then I started to think about the things that makes me feel like being at home, where I can be me, where I’m the happiest. The thing I’m going to miss the most during my exchange is being at our Lapland cottage with my family. That is the place where I can relax and where my ”real home” is. I love the trips to picking up blueberries and cloudberries, walking in the woods with our dogs, listening the silence, driving a snowmobile and seeing the pure, untouched finnish nature. Many times when going to outdoor sauna I stop to stare at the evening sky with all its stars and listen to the wind. No traffic or neighbors, only the natures own sounds. One thing that I usually notice but don’t really pay attention to is that in Finland we have many dialects. They all have their own sounds and words. Some dialects sound funny to my ear but also many says that my Lappish dialect is weird or sounds cute. I think dialects tells more specifically where we are from and that is something that we should appreciate and to be proud of. First thing that comes to my mind when I think about Finland, and being a Finn, is the forest, lakes and the silence you find when you wander through the nature. When I was young I didn’t think about it, but now I know that the silence is not something everyone has. That might be one of the reasons why going abroad sometimes feel so scary to us. We simply aren’t used to the constant noise of traffic and people talking. Of course there is plenty of noise in Finland too, but not in the same scale, and here we know how to escape it! Why Finns enjoy peace and prefer to keep their privacy? Maybe it is because we have an easy access to it. We don’t need to rent a cottage far away from the city, usually we just happen to own one right outside the town. We are lucky to have space around us, and that has affected our customs and free-time activities. We often take it for granted, but every time I have gone abroad I have realized that nature is one of the most important things we have in Finland. It might not feel unique to us, but the fact that everyone has an easy access to a forest is something we should appreciate more.